Two severely fragmented remaining subpopulations (EOO 63 km², AOO <5 km²) continue to decline due to ongoing habitat loss and degradation. Darling to Milnerton and Agter-Paarl. 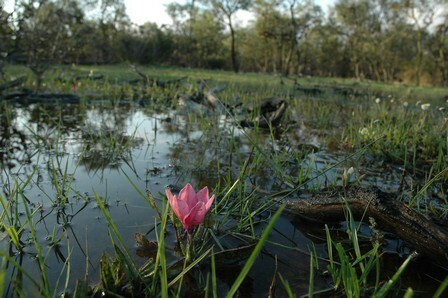 Seasonally damp sandy flats in shale and granite renosterveld. 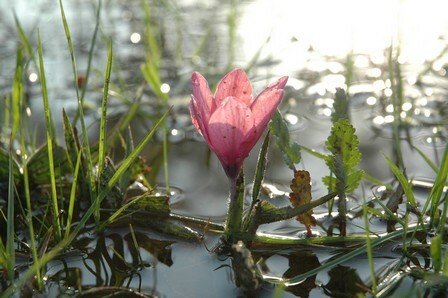 Babiana blanda has lost more than 80% of its habitat to urban and agricultural expansion. Both remaining subpopulations occur on isolated fragments. The largest subpopulation occurs in a severely degraded site infested with unmanaged alien invasive plants and subjected to heavy grazing. The population is potentially threatened by expansion of crop fields. The second subpopulation occurs on a municipal commonage where the habitat is still in fairly good condition, but is earmarked for low-cost housing development. Alien invasive plants are present in low densities at this site, and needs to be cleared. 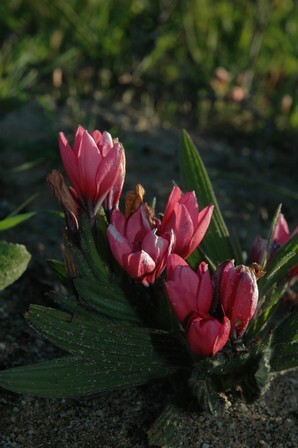 Babiana blanda was frequently collected in the area between Milnerton and Mamre from the 1940s to 1960s, but then not seen again for many years. 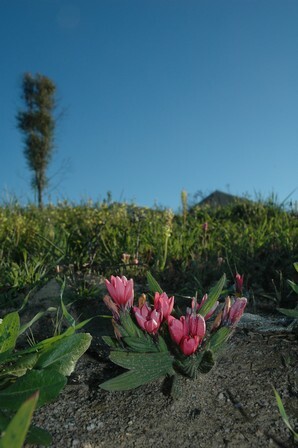 Iridaceae expert Peter Goldblatt searched for remaining populations of this species for more than 20 years, and the species was presumed extinct. In 2006 a large population numbering 300-500 mature individuals was discovered near Philadelphia, and in 2007 a second, smaller subpopulation was found near Malmesbury. Subpopulations are isolated and continue to decline due to ongoing habitat degradation at both sites. Goldblatt, P. and Manning, J.C. 2007. 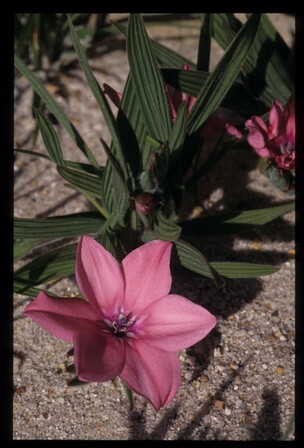 A revision of the southern African genus Babiana, Iridaceae, Crocoideae. Strelitzia 18:1-97. South African National Biodiversity Institute, Pretoria.